Changing your oil regularly is critical to maintaining your vehicle’s health. In the past, experts recommended oil changes every 3,000 miles, but advances in oil and engine technology have extended that interval. Today, most vehicles can go between 7,500 and 10,000 miles between oil changes. It’s a good idea to check your owner’s manual for more specific instructions about how often you should change your oil. Before you visit our service center near Bolingbrook, check out these facts about oil changes. If you have any questions, call our service center at (630) 749-2478. Whenever you get your oil changed, they should replace the oil filter as well. You can always stop by the parts department at Chevrolet of Naperville for an oil filter if you’re doing a DIY oil change. Checking your oil level once a month will help catch any leaks in the oil system. After all, without oil, your vehicle can become seriously damaged. Be sure to check for any change to your oil’s color, as well as the appearance of any metal particles in the oil. Those can be signs of serious problems. 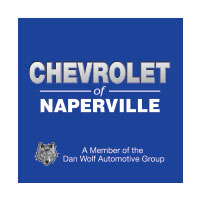 If you’re low on oil or notice another issue, schedule a service appointment with Chevrolet of Naperville today. We offer low prices on oil changes as well as service coupons for many of our most popular maintenance and repair tasks. Contact us with any questions today!